This is the first report in the world literature illustrating the safety and efficacy of transoral robotic surgery for supraglottic laryngectomy, the researchers say. The preliminary study examined the outcomes of 13 head and neck cancer patients with tumors located in the region of the throat between the base of the tongue and just above the vocal cords, an area known as the supraglottic region. The study found that the use of robot-assisted surgery to remove these tumors through the mouth took about 25 minutes on average, and that blood loss was minimal – a little more than three teaspoons, or 15.4 milliliters, on average, per patient. No surgical complications were encountered and 11 of the 13 patients could accept an oral diet within 24 hours. If, on the other hand, these tumors are removed by performing open surgery on the neck, the operation can take around 4 hours to perform, require 7 to 10 days of hospitalization on average and require a tracheostomy tube and a stomach tube, the researchers say. The findings were published recently in the journal Head and Neck. 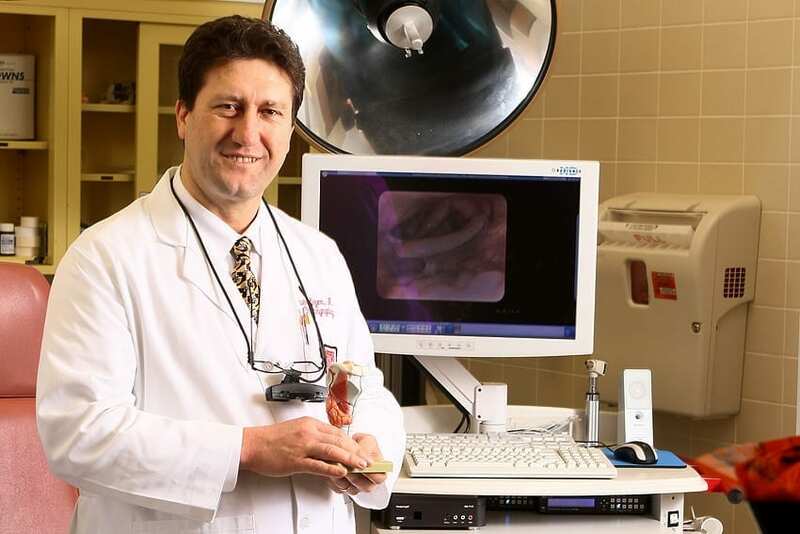 “The transoral robotic technique means shorter surgery, less time under anesthesia, a lower risk of complications and shorter hospital stays for these patients,” says first author Dr. Enver Ozer, clinical associate professor of otolaryngology at the OSUCCC – James. “It also means no external surgical incisions for the patient and better 3-D visualization of the tumor for the surgeon,” says Ozer, a head and neck surgeon who specializes in robot-assisted techniques.